When I talk to someone who doesn’t live in Cleveland, they seem to ask me “Are the Flats still a happening place?” Sadly, I have to tell them the east bank isn’t what it once was. Vacant lots sit where nightclubs once stood. Places like Fagan’s, Jimmy’s, Have A Nice Day Cafe and River’s Edge are closed. Of course, it’s all in the name of new development for a project masterminded by Scott Wolstein. A mix of business and residential buildings will hopefully occupy the former entertainment district on the east side of the Cuyahoga River. On the opposite side of the river, the Powerhouse complex still thrives with Howl at the Moon, Rock Bottom Brewery, Windows on the River and Improv. From my window, you can see the impact the poker tournaments have brought to the Jacobs Investments owned property. I’m seeing more cars every weekend. With summer coming, people will pack the patio at Shooters. Christie’s parking lot is always filled. Several other nightspots seem to do well. I’m seeing life here on the west bank. I think it’s helped by the fact snow isn’t covering everything and the leaves are adding some green to the scenery. Stonebridge and the Apartments at Nautica are close to capacity. That means people are embracing the idea of living downtown. This is a crucial time in Cleveland’s history. So many of the industrial rust belt jobs are gone, many people have left the area to seek employment elsewhere. 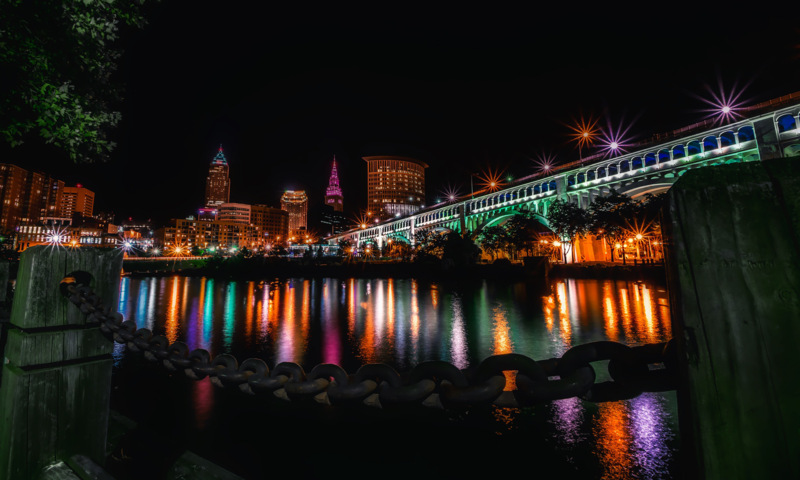 Cleveland needs projects like those proposed by Stark Enterprises, Wolstein and Zaremba. The Medical Mart also could breath new life into Cleveland.